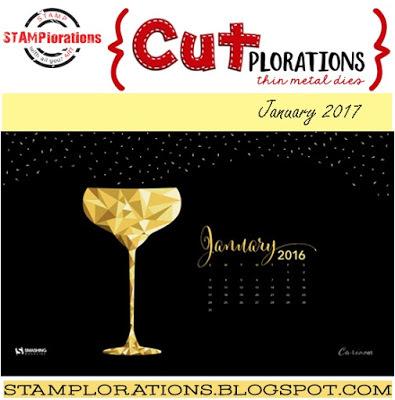 shirley-bee's stamping stuff: CUTplorations - Are You Playing Along? As promised, I'm back with my happy accident, another version of the perched bird. 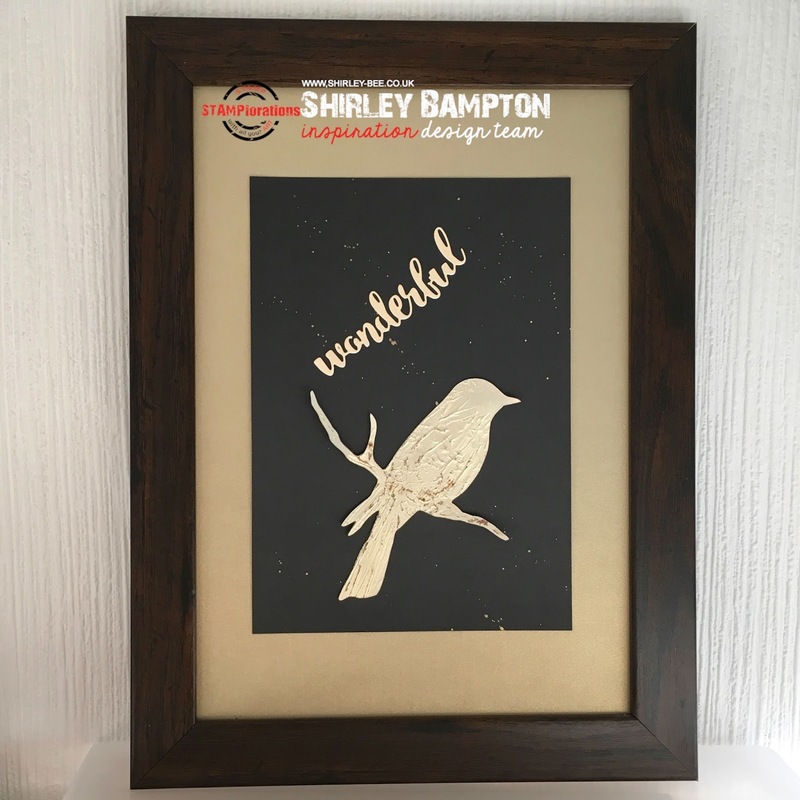 I was cleaning the stencil by laying it on scrap paper and using kitchen paper to wipe all the paste to the open areas of the stencil. And it looked very artsy! 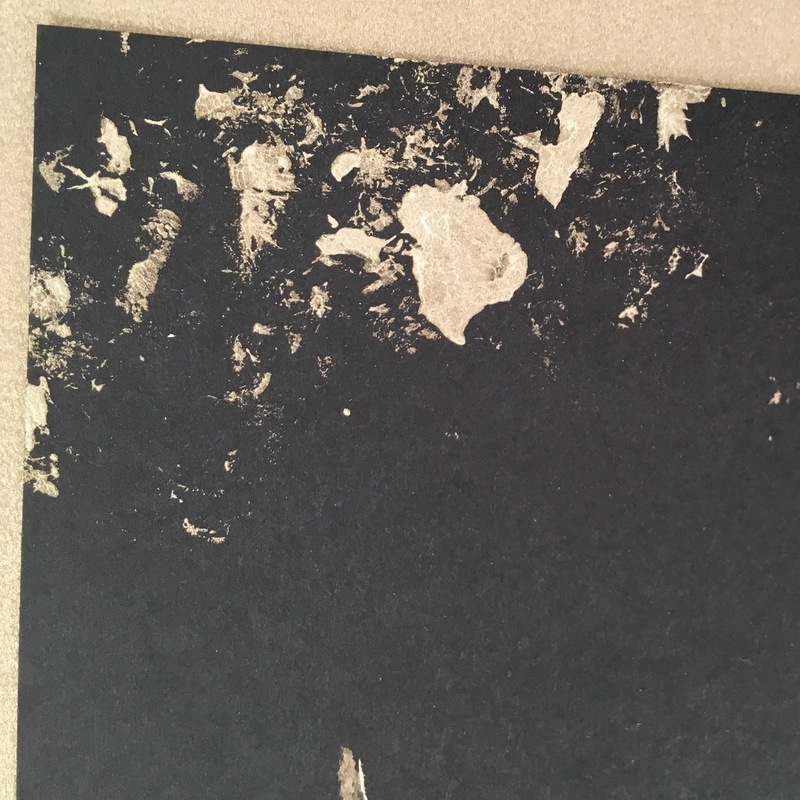 So I quickly got some more black card, dabbed the kitchen paper into the paste and proceeded to wipe and scrub it through the stencil. Some kitchen paper stuck onto the paste (giving extra artistic texture!!). 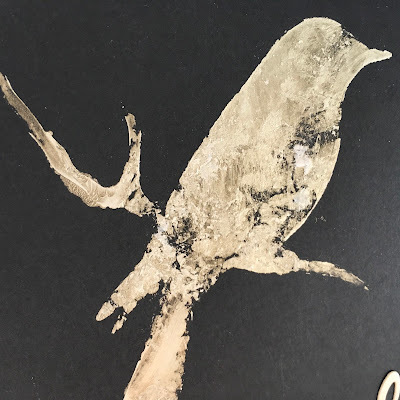 I dabbed some more paste at the top of the card as well. Here's a close up or two. Finished off with a CUTplorations Word die cut, which is the aim of the game, and mounted it onto gold card. 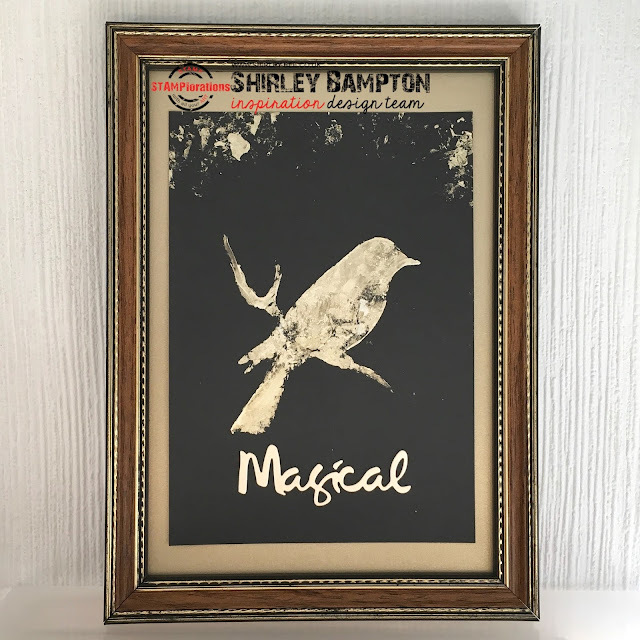 I've said it a hundred times before, your creations need to be framed and hung on a wall....and I was right...your artwork looks AMAZING showcased in frames!